Happy first weekend of October! Here’s a few ideas for some fun and affordable things to do in Boston and Beyond this weekend! Roxbury Open Studios: October 4-6, 2013 across Roxbury. Check out this annual open studios event in Roxbury and enjoy various visual arts from artists across Roxbury! Free. Let’s Talk About Food Festival: Saturday, October 5, 2013 starting at 10am at Copley Square. Let’s talk about food with activities, education, and fun for all ages. Free. Boston Local Food Festival: Sunday, October 6, 2013 from 11am-5pm on the Greenway. Join the Sustainable Business Network for the nation’s largest local & sustainable food hub. Free. Girlswap at the SoWa: Sunday, October 6, 2013 from 12-4pm at 460 Harrison Ave (look for the tent with balloons). Ladies, swap your clothes at the SoWa Open Market on Sunday– get a new wardrobe for free! Sorting starts at 11am, and swapping begins at 12pm. Oficio Fashio Bazaar: Saturday, October 5, 2013 from 11-5pm at 30 Newbury Street, 3rd Floor. A one day pop-up shop on Newbury Street with unique independent designers. Free and open to the public. Bank of America’s Museum on Us Weekend: Saturday and Sunday, October 5-6, 2013. Bank of America & Merrill Lynch cardholders can get into select museums the first weekend of every month for free by showing their bank card (per cardholder, not family). Museum of Fine Arts, MIT Museum and other museums across the state participate. As you are aware, some affordable and great attractions in and around the city are currently shutdown. The Boston Harbor Islands is still open until October 14, 2013 as well as the ferry service. I have two more free ferry vouchers to give away to use before the end of the season (October 14, 2013). If you’d like to head to the Boston Harbor Islands this weekend or next for free, please fill out the entry form below. I will send the winner an e-mail on Friday morning, so it will be a quick 24-hour giveaway! Free Friday Fun for Friday, August 9, 2013 in the Greater Boston Area! 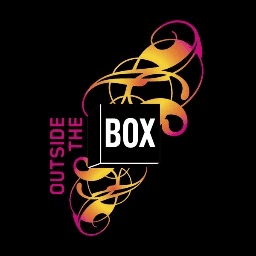 Outside the Box Music Festival: Now through Sunday, July 21, 2013. The first ever 9-day free music festival with over 200 performances ends this Sunday with many performances around the city, including a free Mighty Mighty Bosstones Concert on Saturday, July 20th. Fork Lift Food Festival: July 18-21, 2013 at City Hall Plaza. A festival inside a festival: The Fork Lift Food Festival is within the Outside the Box Music Festival and has free entry. Food tickets are $1 a piece and each food vendor has food tasting items worth 1 to 5 tickets (Note: I got a Shake Shack Burger for 5 tickets so $5, Meatball for 3 tickets or $3 and so on, on 7/18). Magic 106.7 Family Film Festival: Saturday, July 20, 2013 at Prudential Center South Garden at sunset. Enjoy a free showing of Wreck it Ralph on the South Garden at the Prudential Center at sunset. Sunday Night Movie at Christopher Columbus Park: Sunday, July 21, 2013 at sunset on the lawn of Christopher Columbus Park. Enjoy a free outdoor screening of Singin’ in the Rain at Christopher Columbus Park. Shakespeare on the Common: Performances now through July 28, 2013 at Boston Common. Enjoy a free performance of Shakespeare’s The Two Gentlemen of Verona this July on the Common. Revere Beach Sand Sculpting Festival: Friday-Sunday, July 19-21 at Revere Beach. Don’t miss Master Sand Sculptors around the world compete in this national contest. Free. FACT Boston Pub Party: Saturday, July 20, 2013 at Wild Rover starting at 6:30pm. Join FACT Boston (Free and Cheap Things in Boston) for their first pub party with free food and fun. Grab your free ticket through Eventbrite. Artbeat 2013: Friday, July 19 to Saturday, July 20, 2013 at Davis Square in Somerville. Enjoy one of the area’s largest and innovative art festivals with many dance troupes, bands, visual art, food, and more. Free. 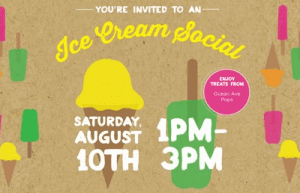 Chill Out Saturdays at Taza Chocolates: Saturday, July 20, 2013 from 12-3pm at Taza Chocolate in Somervile. Stop by Taza Chocolates to grab a free frozen treat from a local vendor on Saturdays in July. This Saturday is a free paletas from Real Pops! Free Fun Fridays in Boston (and Throughout Massachusetts) on Friday, July 5, 2013! If you are looking for something fun to do at night in Boston, you may want to stop by the Boston Harbor Hotel for a free showing (outdoors) of E.T.! The free flick starts at sunset! Free movies at the Hatch Shell start back up again next Friday (7/12) with Despicable Me! Hope you all have a great Fourth and Fourth of July weekend! Happy, Happy Weekend! Here are some things that are happening in the Greater Boston Area this weekend that are free or are extremely budget-friendly! If you are looking for some free Friday fun, please checkout my new Friday series here. 103.3 Amp Radio Birthday Bash Concert: Sunday, June 30, 2013 at City Hall; Event starts at 11am, Party Pit opens at 1pm, and music begins at 2pm. 103.3 Amp Radio is celebrating their 1st Birthday with a free concert featuring Selena Gomez, Ariana Grande, Jason Derulo, Sammy Adams, Timeflies, and Drop City Yacht Club. Rain or shine. Free. Free Sailing Open House: Saturday, June 29, 2013 from 1-4pm around Boston Harbor. The Boston Sailing Center is hosting a sailing open house where you can sail on the Boston Harbor with an experienced sailor on board for free. Boston Food Swap: 2 Year Swapiversary: Sunday, June 30, 2013 at 2pm at 40 Berkeley. Come swap some delicious and creative dishes at this 2nd annual Food Swap. Free, but RSVP and bring a food item. Frog Pond Wading Pool Opening Celebration: Saturday, June 29, 2013 from 11am-1pm at Boston Common. Join Frog Pond Freddie and kick-off the opening of the Frog Pond Wading Pool for the summer! Free; event is weather permitting. Boston Cupcake Camp Boston 2013: Sunday, June 30, 2013 from 11-4pm at the Hodgkins-Curtin Park (Davis stop on the Redline). Professional and amateur bakers join the fun to raise money for the Somerville Winter Farmers’ Market through cupcakes. Games, music, family-friendly activities, oh, and cupcake eating too. Tickets are $7 (+ service fee) and includes up to 8 cupcakes to enjoy. Rain or shine. Institute of Contemporary Art Boston: Saturday, June 29, 2013. The ICA Boston is free the last Saturday of every month, which is this Saturday! Radius Last Call: Saturday, June 29, 2013 from 9pm-12pm. Radius Restaurant (9 High Street) is closing their doors after 15 years. Celebrate their last hurrah with complimentary late night bites as more. No RSVP needed-just show up. Independence Day is coming up next week, which means local Fireworks are in full swing this weekend. Boston Central has a great list of all fireworks in the Greater Boston area and can be found here. Hope you all have a great weekend, and hopefully the weather will cooperate with our weekend plans!